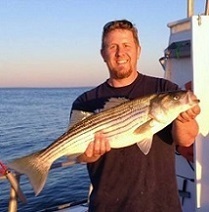 CTFishTalk.com: Batterson Park Pond - Connecticut Conservation & DEP ( CT Conservation & DEP ) - A Community Built for Connecticut Fisherman. I am currently a grad student researching the water quality of Batterson Park Pond. It would be appreciated if anyone who fishes at the the pond share any fishing experiences they have had. Specifically, I am looking for information on the quality of the fishing experience and the type and quality of the fish caught (including pictures if available). Based on the water chemistry data that I have collected and information that I have found in the literature Batterson should not be able to support a healthy walleye fishery. A few posts that I have read have indicated that the walleye being caught are small. 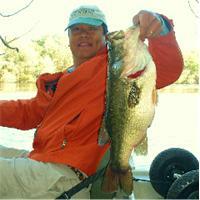 However the bass fishing seems to be pretty good. Posted: Thu Oct 27, 2011 10:31 pm Post subject: Welcome aboard! There's no need to repost this more than once. I think that this is the correct spot for it, though. I fish at Batterson Park Pond fairly often, probably 10 times per year. I usually target largemouth bass there, but sometimes target walleye. I'm no expert at fishing for walleye and have caught only one 18 inch keeper out of four or five walleye over the last two years. Do you have access to the DEEP's electrofishing data from the pond? I know that they surveyed it in early 2010. I'd love to know what they got. And why only on Batterson? Out of the handfull of times I've been there I have only caught one walleye and it was a small 15" fish.